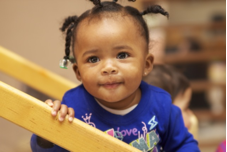 At the heart of the Program for Infant/Toddler Care (PITC) is a commitment to care for infants and toddlers that respects the differing cultures, lifestyles, preferences, abilities, learning styles, and needs of the children and families served. Therefore, PITC follows an approach that is responsive to what the infants and toddlers and their families bring to care and emphasizes relationship-based implementation strategies. The positions advocated by PITC are based on sound child development and family research. The goal of PITC is to help infant/toddler care teachers recognize the crucial importance of giving tender, loving care and assisting in the infants’ intellectual development through an attentive reading of each child’s cues. The PITC Trainer Institutes are jointly conducted by the California Department of Education Early Education and Support Division (EESD) and WestEd’s Center for Child and Family Studies.